Ever wondered what those three stars that adorn the plaque displayed on the wall at Green Fountain Farm Resort are? The ones in the colours of the South African flag … They’re not just there to show our patriotism (although we have heaps of that filling our Rugby World Cup veins at the moment!) – they’re proof that we’re star-graded. And, no, that doesn’t mean only Hollywood celebs are welcome; it means we’ve been granted three very valuable internationally-recognised star-points by the Tourism Grading Council of South Africa (TGCSA), the only officially recognised quality assurance body for tourism products in our country. This year, the TGCSA revised its criteria for star grading, making it more internationally competitive and uniform across accommodation venues. It’s not as simple as dishing out red stars for good service and black stars for bad service like back at school. The globally benchmarked system for accommodation offers one to five stars only, based on a variety of criteria that range from architecture and décor to travel and accessibility for handicapped people. 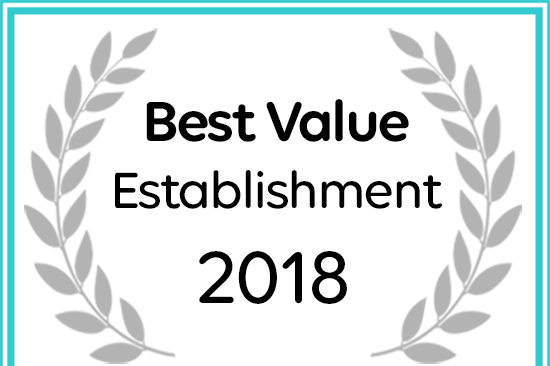 These stars are, therefore, an assurance to visitors that they are booking into an establishment that has been deemed worthy of its star value by maintaining a high standard of quality. Besides offering an idea of the level of service, the number of stars indicates what facilities can be expected at each hotel, guest house, lodge, etc. Green Fountain Farm Resort offers self-catering accommodation in its 22 villas and for us to have earned our three stars we’ve worked hard at maintaining the highest levels of quality across the board. Three stars means that, besides our impeccable attention to detail, we have cooking facilities with at least a microwave, two hot plates, saucepans, crockery, cutlery and cooking utensils; our formal reception area has the appropriate meet-and-greet service; we clean rooms, changing linen and towels and removing rubbish; and we offer the services of an on-site representative who is contactable 24 hours a day, seven days a week. We pay to be graded and are inspected by independent grading assessors who come from a hospitality background and have completed a TGCSA training course. Because each grading is only valid for one year, you can be assured that we’ll constantly be working to maintain our standard of quality in order to have it renewed annually, and have guests return to our all-star venue. If you want to experience the great service of three star self-catering accommodation, check in at Green Fountain Farm Resort. Visit our website for more information and things to do during your stay.